Sculpture 'The Call' (aka 'Scots American War Memorial'). 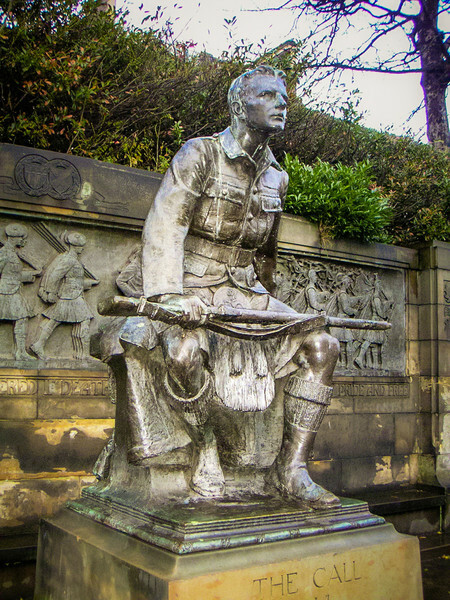 Commissioned by Scottish-Americans to honour Scots who had served in the first World War. Designed by R. Tait McKenzie, unveiled 1927.